Many women suffer from irregular periods that can be due to many things. Discover some possible causes of this condition in our interesting article! Many women have irregular periods. Most of the time, going through long periods of stress may affect your normal cycles, resulting in late or early periods. There may be many different factors that determine when you get your period. Your nutrition and health are undoubtedly essential for it to behave normally. That’s the reason why we want to dedicate this article to telling you all of our tips so you understand where certain symptoms may come from and how you can help solve them with your doctor’s help and advice. Remember to consider making an appointment with a doctor if you have irregular symptoms. It’s very important. You’ve probably had this happen to you more than once and it scared you: your period never came, you knew you weren’t pregnant, and you didn’t have the typical telltale pains. You may have also had irregular spotting. 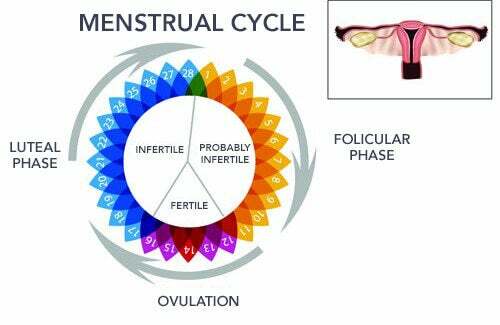 Normal menstrual cycles last between 21 and 35 days until your period comes. It’s common to have irregular periods for the first five or six years. 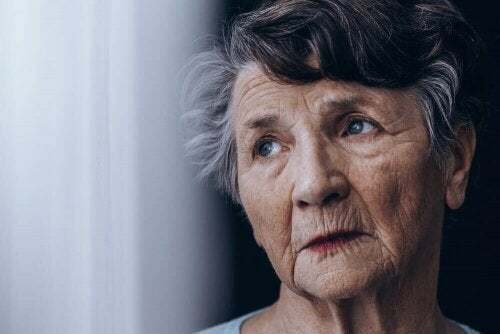 But as you get older, they tend to be regular until you reach the ages of 40 or 45, which is when menopause progressively begins. Irregularities are abnormal processes that you can immediately identify by pain, missed periods, or periods that come twice in one month. Next, we’ll analyze the possible causes of irregular periods one by one. The first thing you should rule out is pregnancy. With that in mind, you should consider it to be amenorrhea when you haven’t gotten your period in three months. But stay calm, as this is most often associated with periods of stress. For example, when you’re very nervous, when you’re going through periods of anxiety, when you have a lot of stress, or even due to the death of someone who was close to you. Discover: Late Periods: Should I Worry? It’s normal for your body to be affected. Also, it may also be due to poor nutrition, anorexia, taking certain medications, and even obesity. Thyroid irregularities or any other hormonal problems can also determine why you aren’t getting your period. Improve your diet: Avoid fats and sweets and increase your consumption of liquids, fruits, and vegetables. Papaya is highly recommended for helping to regulate your period. Fennel infusions: They’re ideal for helping regulate your cycles. If you drink two small cups a day for two weeks, you may notice some positive changes. Oligomenorrhea is when you have cycles that are very spread out. Sometimes it may be due to polycystic ovary syndrome (PCOS). In some cases, women haven’t even turned 45 and their periods stop. They have stopped ovulating. Women with this problem may have stopped having their period or have it very infrequently. This is due to a premature ovarian failure. Osteoporosis may cause this problem. Thus, you may need a complimentary hormonal treatment. Very painful periods. Women who greatly suffer from periods feel incapacitated by this pain. Although this isn’t a very serious illness, it’s very problematic for daily life. Homemade remedies like hot baths or the use of plants with painkilling properties can help you during these times of the month. If you have pain before and after your period and long periods that are very heavy, these may be signs of endometriosis. It’s basically abnormal tissue growth inside the woman’s uterus which could cause infertility. It’s a serious disease that requires treatment which is why it’s important to see your doctor when you notice any symptoms. They are the most common non-cancerous tumors that women of childbearing age suffer from. Some of the possible signs of uterine fibroids are very heavy periods and bleeding mid-cycle. Medications can sometimes stop their growth. In other cases, surgery will be required to get rid of them. Therefore, it’s important to watch out for any signs. Any irregularity you notice in your body is sometimes a sign of something else: stress, poor nutrition, or an illness that you must treat for the sake of your health. Just keep an eye out!